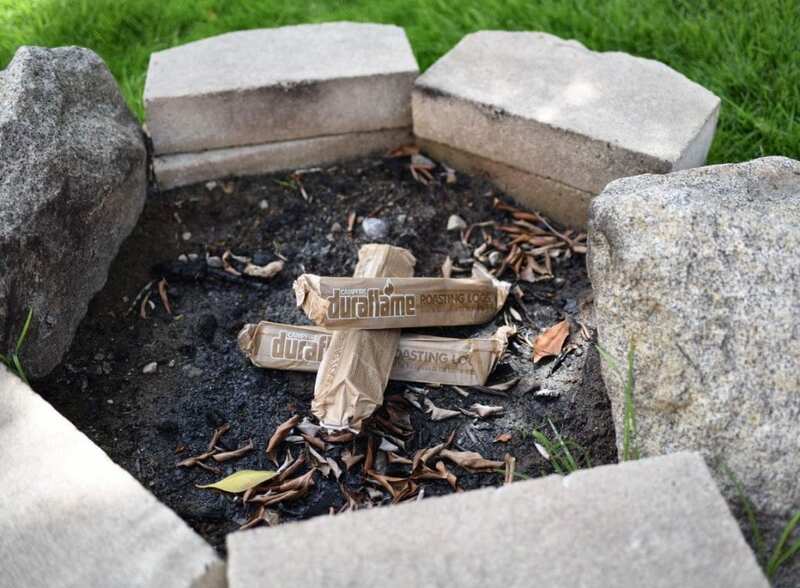 This lemon meringue s’mores recipe is sponsored by Duraflame. All ideas and opinions are always 100% my own. With the warmer weather and longer daylight, we have been trying to get outdoors more as a family to enjoy nature and get away from the daily grind. 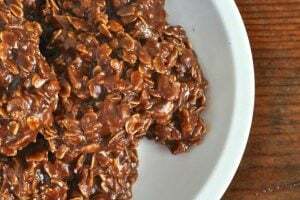 I bought everything for us to make the standard s’mores we all know and love, but then decided last-minute to switch up and try something new! 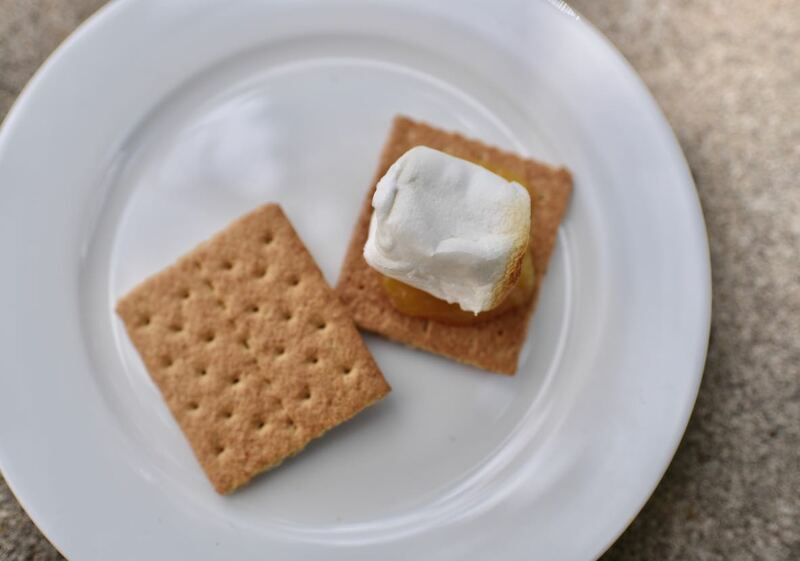 I was trying to create a lighter s’more, then came up with the idea of spreading lemon curd on the graham crackers, then adding a roasted marshmallow and leaving out the chocolate. 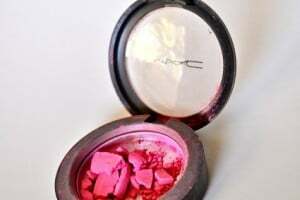 It was a total success! I fell in love with lemon curd when I used it at our first Downton Abbey tea party and our second Downton Abbey tea party. 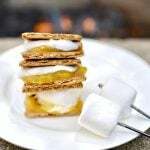 You can find it at most stores, and it has a delicious, strong lemon flavor that tastes amazing with the marshmallows and graham crackers. 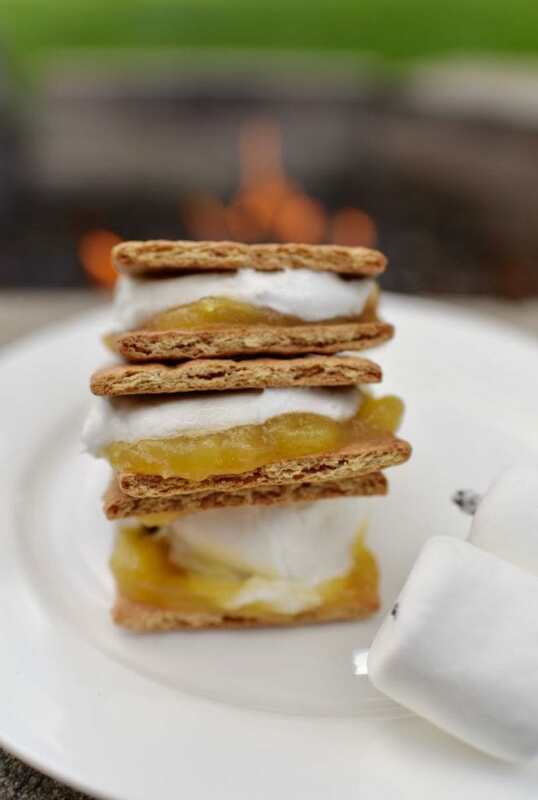 To make these lemon meringue s’mores, of course you’ll need to start a fire. You could cook the marshmallows in the kitchen, but trust me, it just isn’t the same as roasting those marshmallows over a real fire. 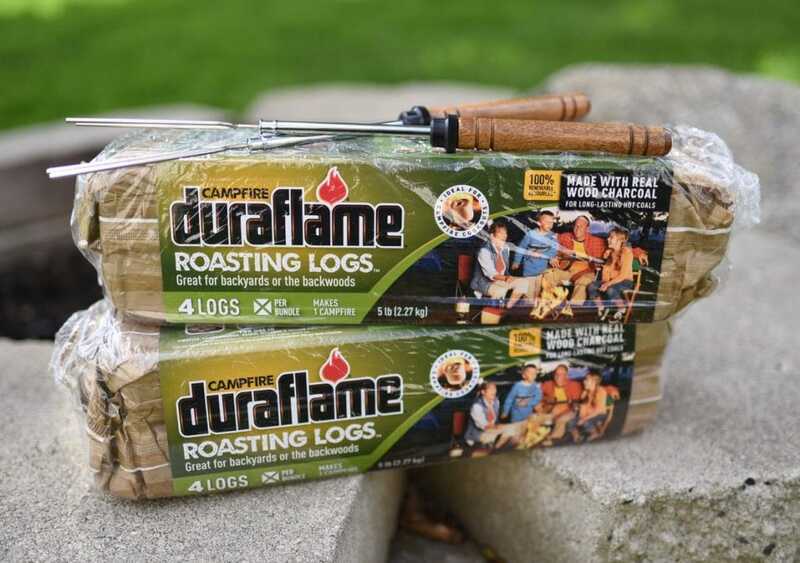 We used Duraflame Roasting Logs to start our fire because they’re so quick to light, are compact and easy to handle, and they stack and burn like wood to make a nice fire that creates hot coals perfect for roasting marshmallows, hot dogs, or anything else you’d like! To start the fire, we stacked three logs, then lit with a match. 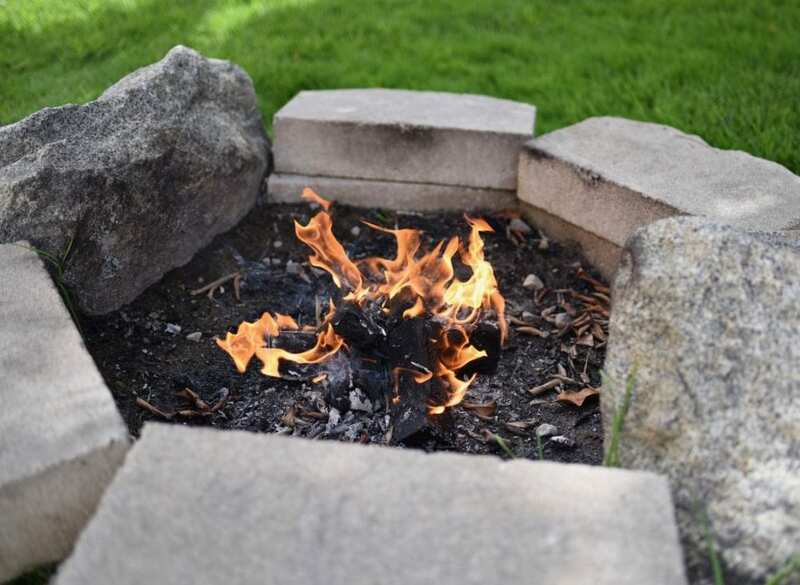 Within a few minutes we had a nice fire. 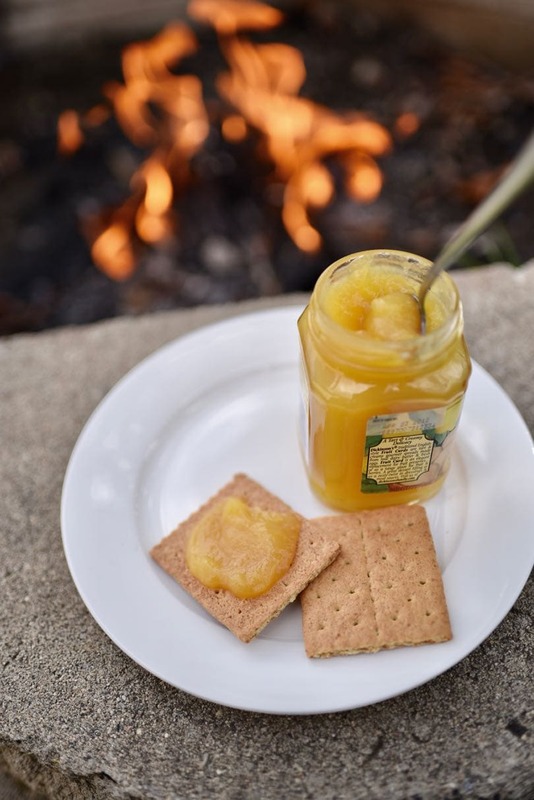 While the fire was getting started, I spooned some lemon curd onto graham cracker halves. Once the marshmallows were roasted, we placed on marshmallow on top of the lemon curd, then topped with another graham cracker. 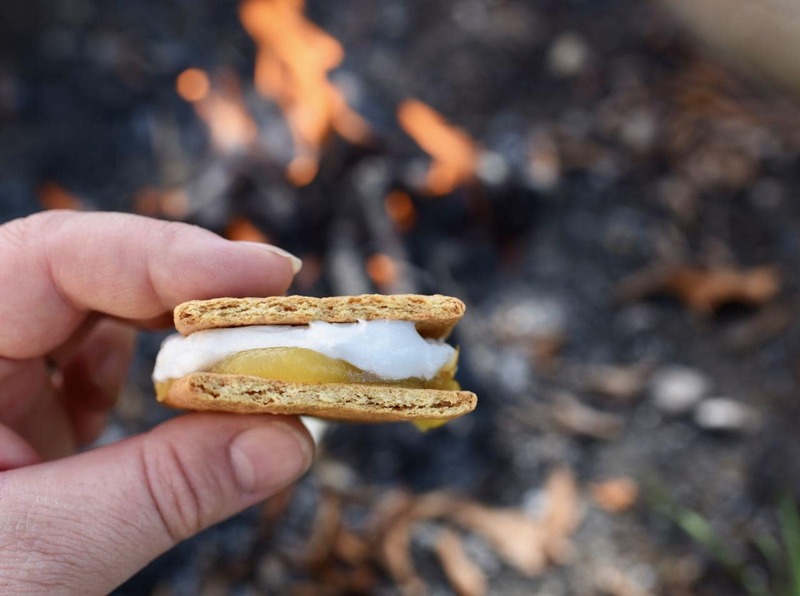 These lemon s’mores were just heaven! They were light and had the delicious bright flavor of lemon meringue pie. The roasted marshmallows perfectly mimicked the fluffy meringue on top of a lemon meringue pie, while the graham cracker mimicked the crust. 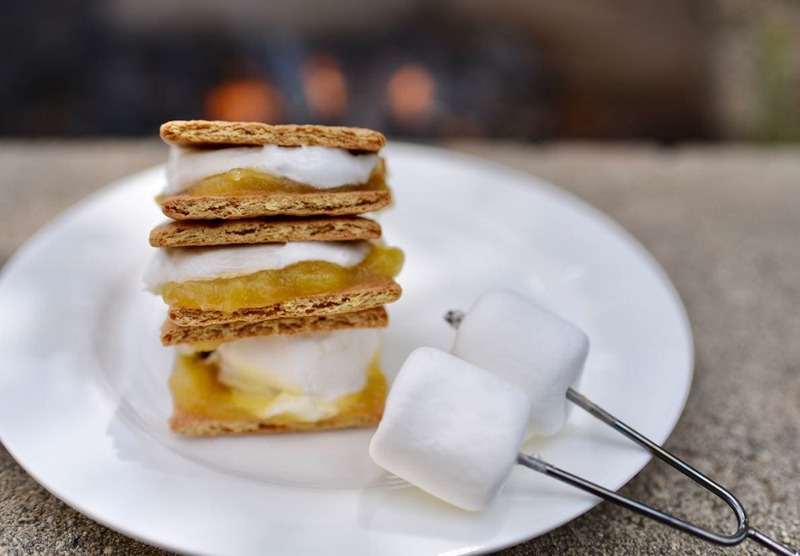 I can’t wait to try these tasty lemon meringue s’mores again! Here’s to many more nights of fires, family, friends, and fun. 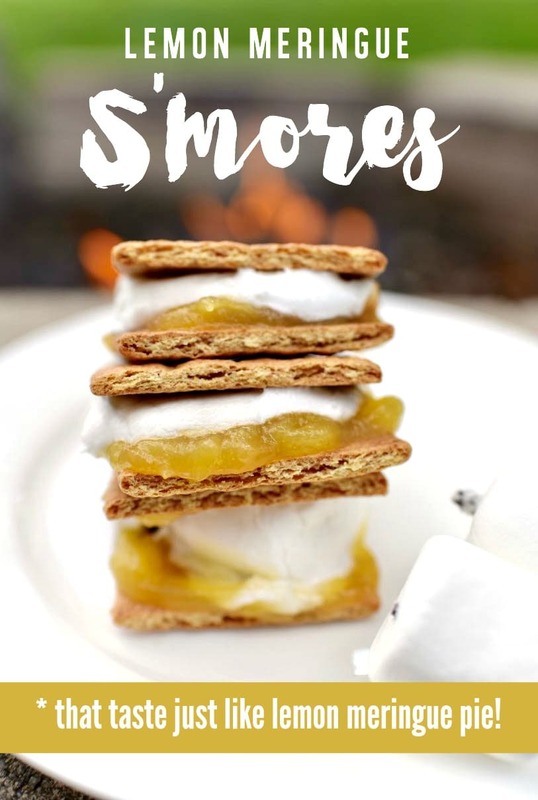 A delicious twist on traditional s'mores, these lemon meringue smores taste like lemon meringue pie! Break the graham cracker in half, then spooned some lemon curd onto one graham cracker half. 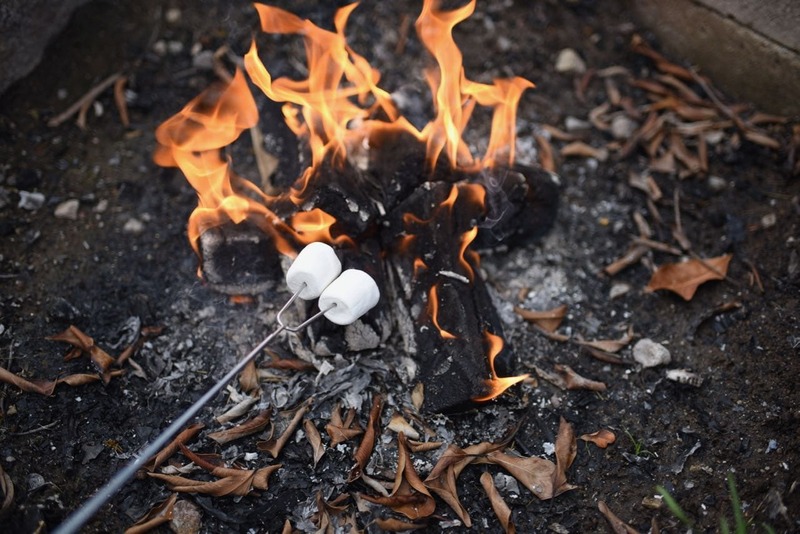 Roast the marshmallow over the fire, then place on top of a graham cracker half. Put both halves together and enjoy! 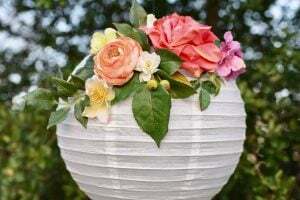 For more summer fun, you’ll love our glamping tips and ideas, backyard camping party, this fun ocean sensory bin for kids, and the lovely backyard makeover I did for Lesley Nicol (Downton Abbey’s Mrs. Patmore).